Young Walsall goalkeeper Joe Slinn is currently enjoying a season-long loan with local Evo-Stik Southern Premier Central side Rushall Olympic. Here we take a look at how he got on in his latest outing for the Dales Lane side. Goals from Joe Hull and Danny Waldron rescued a point for Liam McDonald's side as they held Coalville to a draw in their latest league outing on Tuesday evening. Both sides created goalscoring opportunities over the first third f the game, with shots coming from close, and long range. Shortly after Danny Waldron saw an effort graze the bar the Pics fell behind when Tim Berridge broke into the box and was ultimately felled by Adedapo Adelekan, who tried to clearr the ball as the defence failed to deal with the danger. The referee awarded a spot-kick which was subsequently slipped home by former Tranmere Rovers forward, Tolani Omotola, the attacker sending Slinn the wrong way as he opened the scoring. 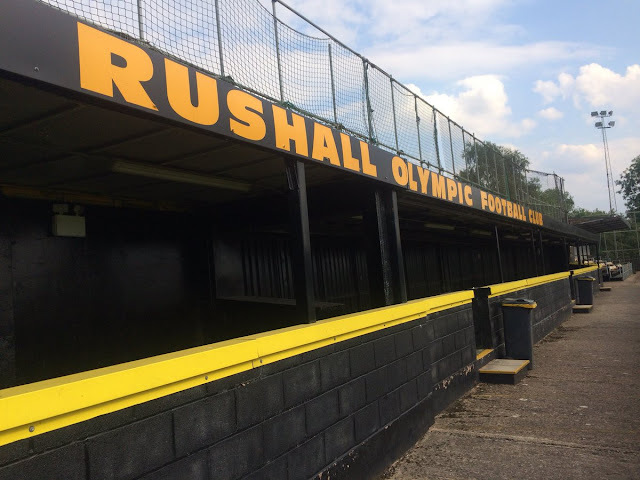 Rushall didn't dwell on the goal and would go on to level the scores just five minutes later as Joe Hull powered home from an Ashley Sammons corner ball. A deserved leveller for the Pics as they then looked to get themselves into the lead. Desite the Pics being buoyed by their goal it was the home side who created the next opportunity as Berridge continued to cause problems for the away side’s back line as he was again tripped in the box and awarded a spot kick. Omotola stepped up to the spot once again but it was an altogether different story as Saddlers stopper Joe Slinn easily pawed away the effort, which the Ravens front-man had opted to put in an identical spot to the first. The first-half wouldn't end all-square as Tom McGlinchey produced a stunning effort to give Coalville the lead. The Coalville man exchanged a one-two with teammate Alex Dean at a corner before rasping a 30-yard left-footed drive into the top corner. Very little for Slinn to do as the home side lead at the break. The second-half was a far less entertaining but no-less dramatic affair and, despite a couple of good openings, saw no goals until the last minute of added-on time as Pics striker Danny Waldron headed home from Tyler Lyttle's cross, a dramatic end which saw the spoils shared. No clean sheet for Slinn but plenty of match minutes as he and his temporary teammates move on to prepare for this weekend's clash with St Neots Town.